A Robin couple made a nest above the outdoor light and had three babies. They barely fit in the nest. 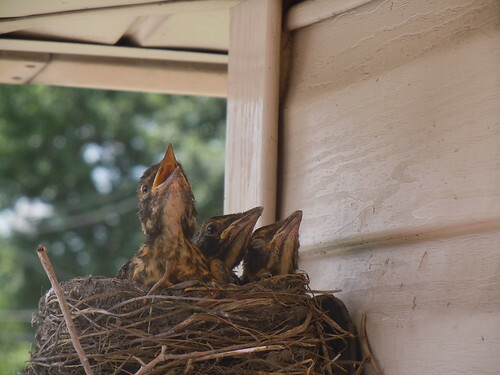 Before we left to go back in California, the three baby birds flew out of the nest! I sometimes wonder how birds make such perfect nests. They look comfy. 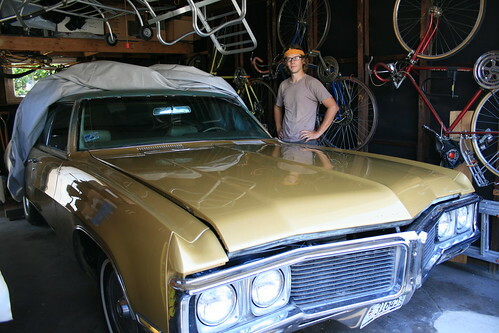 Romy and his 1970 Buick which was originally bought by his grandma. It still needs a vinyl roof put on, and some of the chrome trim. 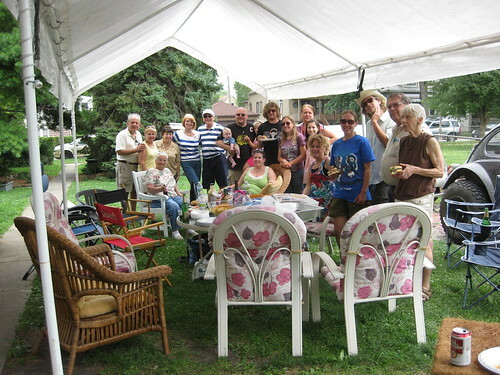 My mom hosted a BBQ and invited a bunch of family and friends! 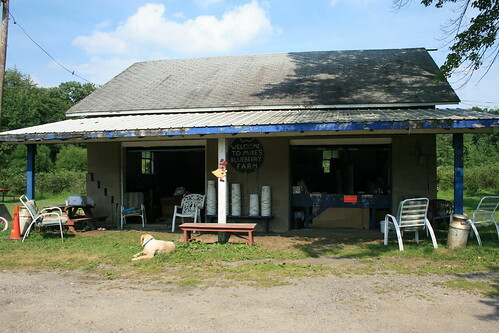 We went blueberry picking at Mike's Blueberry Farm in New Buffalo, Michigan. They sold the u-pick berries for $1.50/lb. 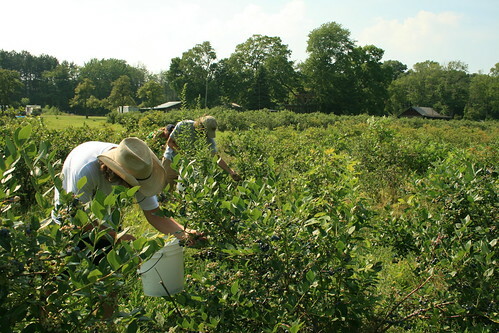 Romy, Marcel and Nicole picking blueberries. It was really hot that day! Romy and I picked 13 pounds and then called it quits to hit the beach again because we were soooooo hot in the sun! I met my friend Kali for breakfast one morning. 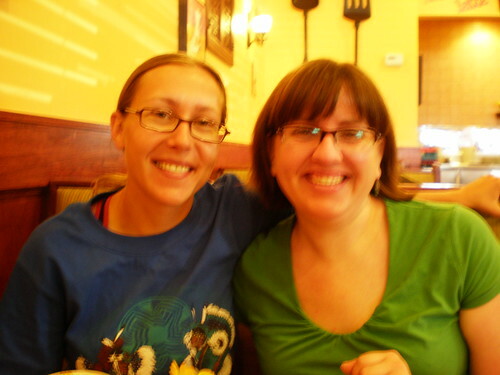 We hadn't seen each other since high school when we were both in marching band! 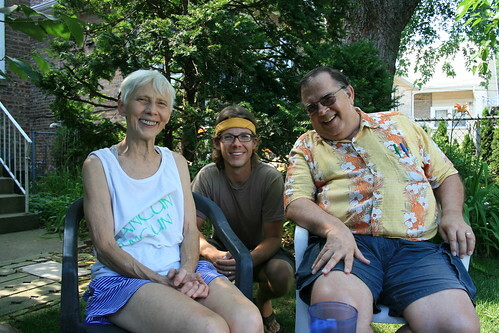 Romy and his parents in the backyard. We had a White Castle picnic with sliders, onion rings, and chocolate milk shakes. 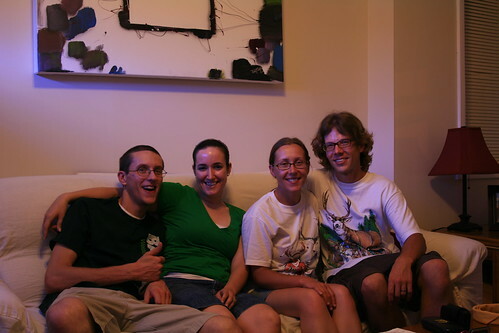 We also visited Jim and Antonia, who are getting married this August! They live in Chicago near the field where the White Sox play.